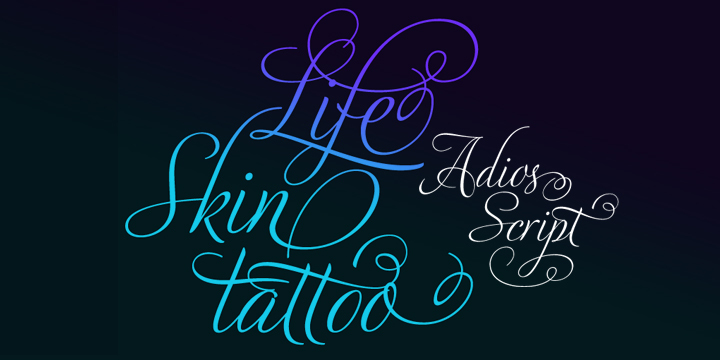 Adios Script typeface is known to be quite romantic and decorative of those introduced by renowned designer Alejandro Paul. It is also referred to as the most elaborate and technically refined typefaces till date. The typeface is inspired by designs in the lines of “how-to” trade lettering guides from the era of 1940s. Its formal introduction to the 21st century was with a wide variety of ornate swash letterforms.